A temporary home from your phone. God it's cold right now. If you, like us, are already dreaming about summer getaways and vacations, just go. Seriously, in some parts of the world right now the sun is shining down and warm ocean breezes are soothing the faces of clever travellers and friendly locals. But if you're put off from bagging a cheap holiday because of how difficult it can be to find a decent hotel at a decent price, worry no more. 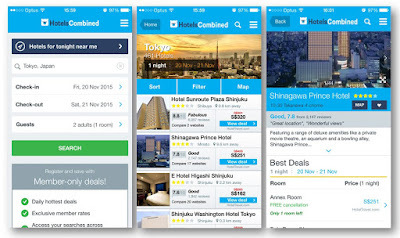 We take a look at the HotelsCombined app. 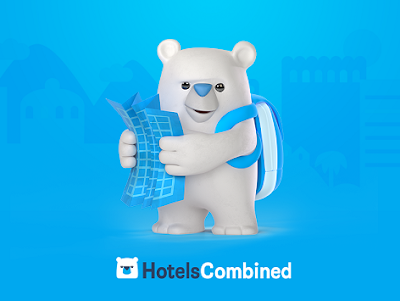 Available for iOS, Android, and – get this – Windows Mobile too, HotelsCombined is a hotel search and booking app that draws info from lots of other sources that you might have already heard of and used, such as Expedia and Hotels.com. 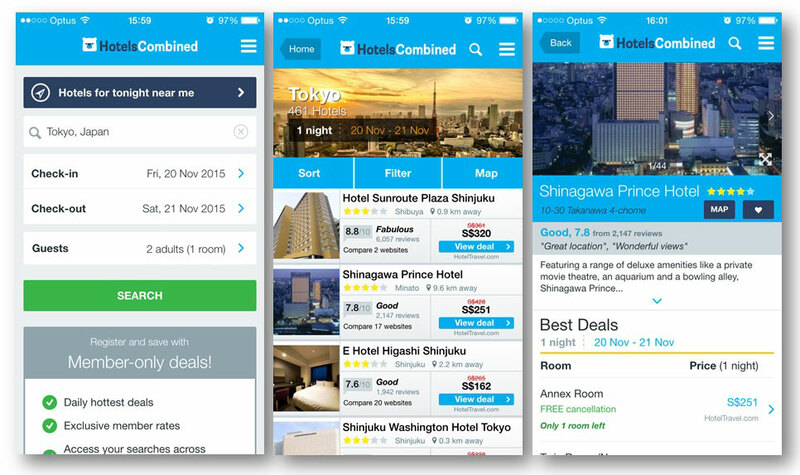 Think of it as the Trainline app but for places to stay around the world – more than 800,000 places in fact. Download the app (it's free!) and it will ask your phone for permission to access your location. That is because it will search the hotel database based either on a location you specify, or where you currently are in the world. This means that if you arrive at your destination, haven't got a clue where to go to get to the nearest hotel, and don't speak the local lingo, the HotelsCombined app will do all the work for. We tested this from our base at Test Pit Towers at it immediately brought up all the nearest places to stay within the specified distance – including one about ten doors down that we'd never heard of. Once you find a hotel that you like the look you'll instantly see a star rating, an image, the distance from you (if you're near to it) and also the current cheapest deal. You can hit a button to be taken directly to that deal, or press View All Deals to see what else is up for grabs at that venue. Either way, you'll be taken to a new page of the app with more info about the hotel in question, as well a few reviews left by other users. If you see the likes of “wonderful place, amazing staff” read on. If you see “they tried to eat me”, go back and FIND A DIFFERENT HOTEL! Fortunately we saw only good reviews of the accommodation around us, and so went for a deal at a pretty swish hotel in the centre of York (oh yeah, we got 'em in York, baby!). Once you hit that deal you're taken to the page on the supporting website that holds the details; in our case Hotels.com. The web browser didn't open, instead the page opened in the app itself which was nice, keeping everything together and neat on your phone. From this point on you're dealing with the deal provider, not HotelsCombined, so you might have to sign up with them in order to book a room, and then obviously give over your payment details. Because hotel rooms tend not to be free. If they ever are, be suspicious and see our advice in capitals above. We ran a local search, but the HotelsCombined app lets you enter in any destination in the world. We tested the hotel database by entering in a location in Greenland. Yes, Greenland – that famous holiday spot. Surprisingly it brought up 12 places to stay, and we assumed it would struggle to show even one, so it seems you'll be well covered for pretty much anywhere on earth. Which is nice. For a free download to always have on your phone, the HotelsCombined app is great. Sure, you might not actually be jetting off anytime soon, but having access to all those hotels, and being able to book a room in just a couple of minutes, is something you can use all year round. Check it out.